(you can even tie the access codes to consumption). You can give a unique code to your customer which limits the usage as needed. Voucher codes can be generated and printed out from the Control Center using our tool which creates high quality PDF files. You can also export the codes in csv format and import them into the system of a hotel or cafe so you can print the codes onto the receipt. 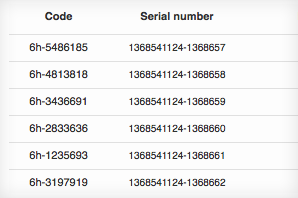 You can even use our API to generate voucher codes on the fly! You can also use our Thermal Voucher Printer to print voucher codes on the fly! 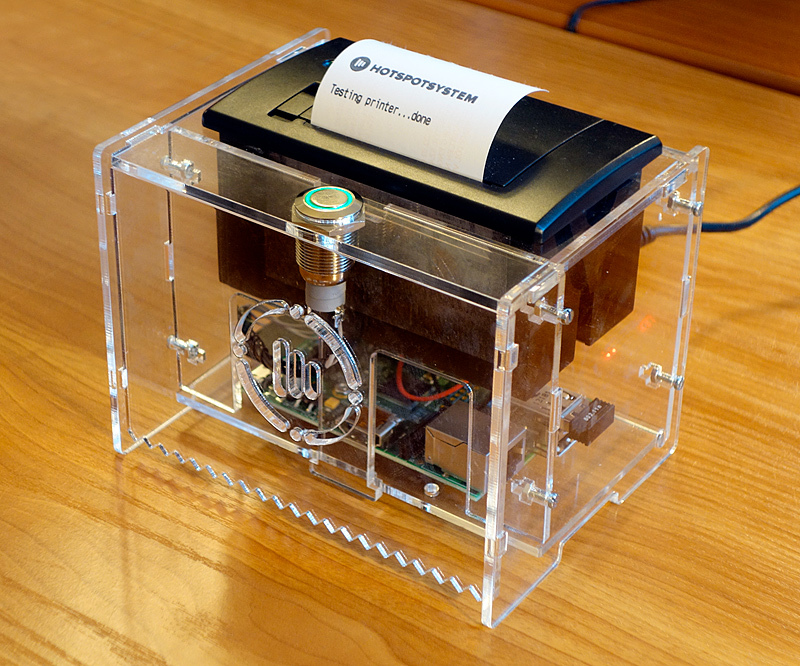 No computer is required to print out the code, as the printer is directly connected to the internet wirelessly and get a voucher code from our servers when you push the button. The printer is designed by our team and it's the first and only voucher thermal printer which can print out voucher codes on the fly from the Cloud! Check out the Thermal Voucher Printer page for more info! Distribute vouchers to limit access to the internet. This way you can prevent neighbours from using your system unauthorized, thus making it much slower. You can also tie the access codes to consumption, give menus, orders etc. 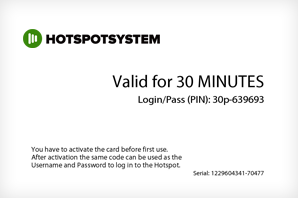 Voucher codes are unique, and they are valid only for a given period of time e.g. 1 hour. This way you can avoid having people ordering one coffee and then using your network all day long. Turn voucher codes into real users by forcing them to register an account. This way they can access the hotspot with a username and password they select instead of a strange code. 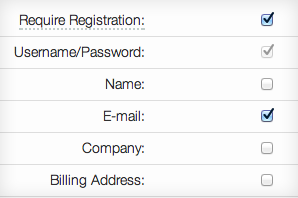 Capture additional data like name, e-mail address, phone number. Up to 5 custom questions can also be captured like room number or any feedback you need. In some countries the law requires to have an identification from users. You can turn SMS Verification on, so customers with valid voucher codes also need to authorize themselves via their mobile phone. You can also use their number for advertising purposes. 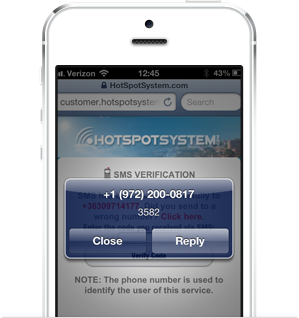 SMS Verification service for Vouchers is FREE, but only available with Pay As You Go purchases.